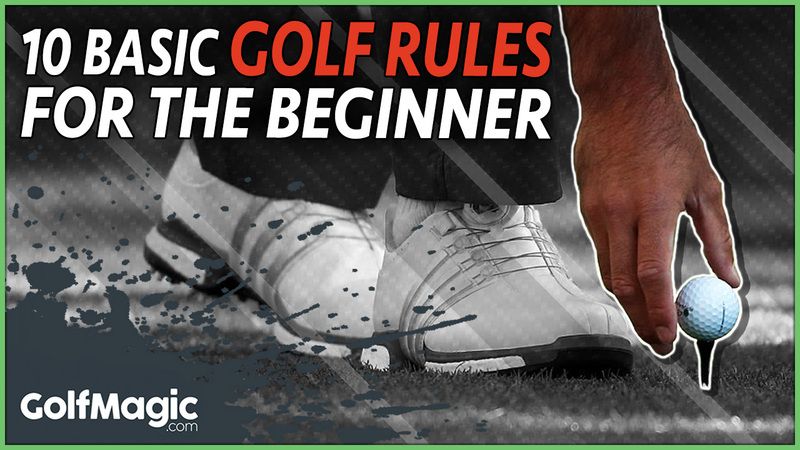 A bitesize guide to 10 very important rules in golf. The Rules of Golf are often considered too detailed and stringent as to put potential committed golfers off in the early stages of discovering the game. Friends and family can ease the transition but others worry those not knowing the Rules can be deterred from getting started. However, core Rules are not difficult to grasp and with this helpful introduction even newcomers will soon be advising their playing partners that it is actually ‘the nearest’ and not necessarily ‘the nicest’ point from which to take relief for an obstacle! You’re allowed to carry up to 14 (that’s FOURTEEN!) clubs in your bag during a competitive round. You may carry less but make sure you check the contents before you start and discard any additional ones - it can cost you penalty strokes for every hole you play. (Rule 4-4). The 2001 Open Championship final round overnight leader Ian Woosnam can tell you all about this rule after being deducted two strokes for having one club too many in his bag. The first tee shot of a round is always daunting, even for seasoned golfers, so make sure you tee up between and behind the front of the appropriate markers - usually white for medal tees, yellow for men, red for ladies - and within two club lengths. Sounds blindingly obvious but unless you mark your ball before you start, there’s a danger - with so many golf balls similarly stamped - you may mistake yours for another player’s. Playing the wrong ball in matchplay could mean loss of hole in singles and will be a two stroke penalty in strokeplay. 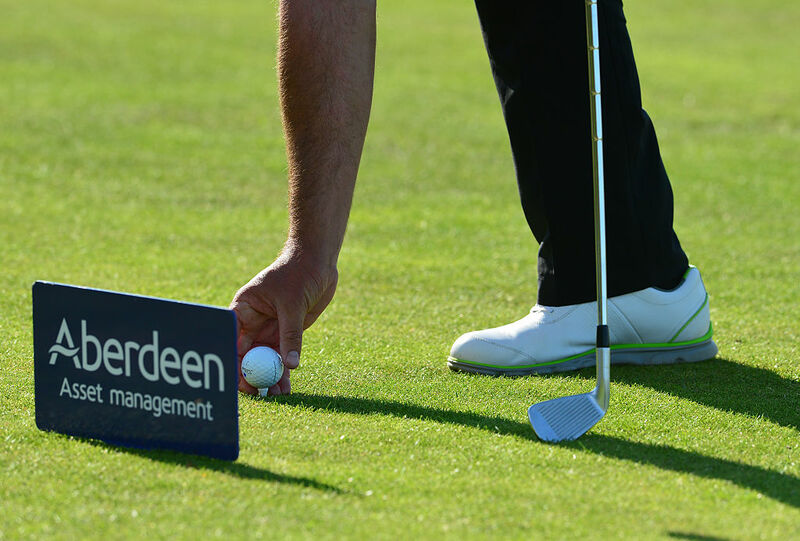 To avoid such a penalty, then get marking your ball more clearly with distinctive personalised symbols. But if you’re unsure the ball - in the rough, for example - is yours, notify your playing partners, mark it carefully with a tee peg, lift but do not clean it (only to identify it) and replace in the identical spot you’re within your rights. (Rule 15-1). Once you have reached the green, there are a couple of key Rules of which you need to be aware. Once the ball comes to rest on the putting surface you may mark it with a coin, or disk, lift and clean it but remember to replace in the exact spot. You may repair any pitchmarks - not just yours - other damage such as spike marks attached to the green but not on your line of putt, a playing partner’s putt, or an extension of it, before the completion of the hole. Always play your ball as it lies, wherever it comes to rest, unless the Rules allow you to do otherwise. If your ball has come to rest in a position that you believe to be unplayable, you have three options. Either hit another ball from the point of your previous shot, drop a ball behind the unplayable lie (as far back as you wish keeping the original lie between you and the hole) or drop the ball within two club lengths either side of the unplayable lie. 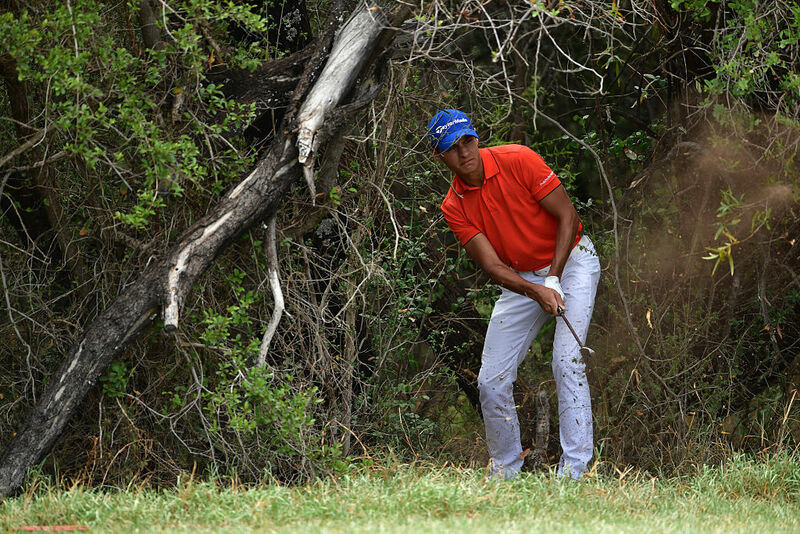 Knowing what to do when your ball sails out of bounds is crucial to a beginner. A ball hit beyond the confines of the course (usually marked by white stakes) must be re-played from the original position adding a penalty of one stroke. The scorecard of any course should have its boundaries clearly marked or described. If you believe a shot has gone OB or into a water hazard always play a provisional and declare it. You have five minutes to search for it and if indeed it is lost you saved valuable time continuing with the provisional ball despite a one stroke penalty. While it is one of the most sociable of sports, golf is a solitary game and this is reflected within the Rules. 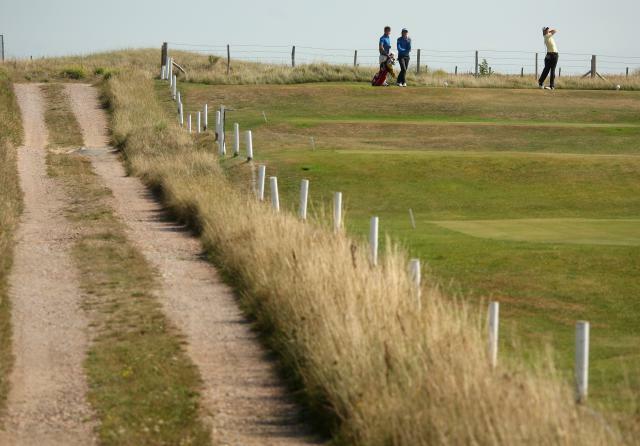 You cannot ask advice on club selection for example from anyone other than your team mate (if you are playing fourball or foursomes for example) or a caddie. Striking the ball would seem like a matter of technique but it is also governed in part by the Rules. For instance, if you find yourself in a difficult lie with an awkward stance, you must strike the ball with the head of the club. At the end of a strokeplay round make sure your card has been completed correctly - achieved by comparing scores you have marked on a playing partner’s card (you will have exchanged cards at the start of the round) with those he or she has recorded. Once you agree, the card must be signed by both parties as a correct record of each hole. Addition doesn’t necessarily have to be accurate but individual hole scores must tally. 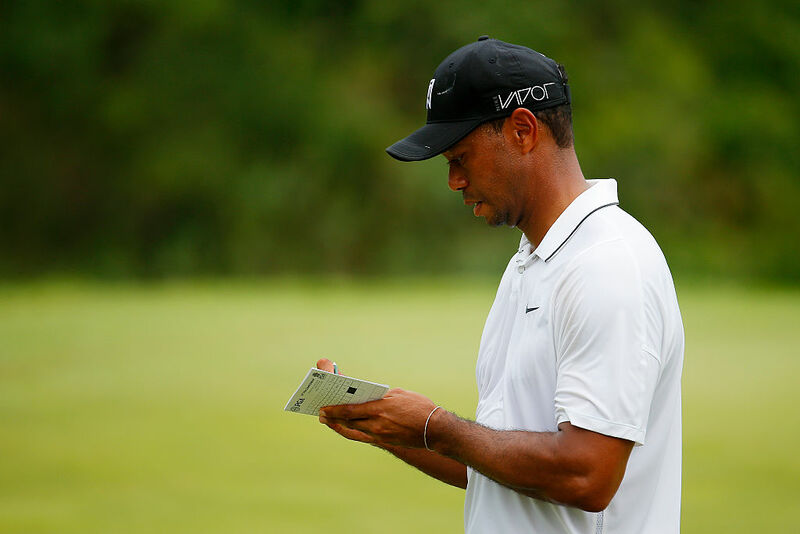 Incorrect scorecards, if lower scores are included, and unsigned ones will lead to disqualification. (Rule 6-6). At the 2000 Benson and Hedges International Open Padraig Harrington was disqualified from the competition just five minutes before teeing off on the final round with a five shot lead for signing his scorecard incorrectly. Even the professionals can do it! What do you make of our list - have we missed any? 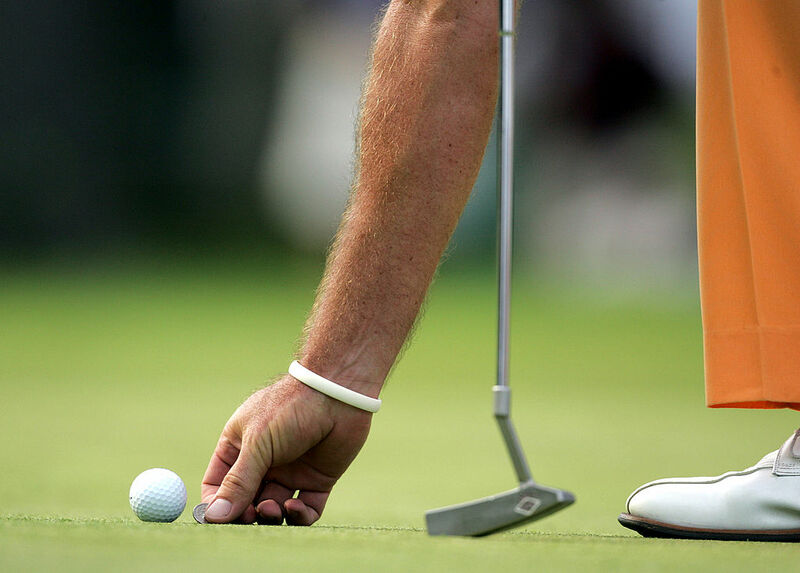 Which golf rules need improving or amending? Share your thoughts in the forum or join us on social media.